I LOVE smoothies with herbs in them. Particularly mint, basil and cilantro (coriander). Lucky for me, this smoothie has all three of my favorite herbs! Coupled with fresh valencia oranges, ice and some kale, this smoothie makes for a perfectly refreshing, flavorful drink! This is a great breakfast smoothie or drink for an afternoon pick me up. Put everything except the kale leaves into your high powered blender. 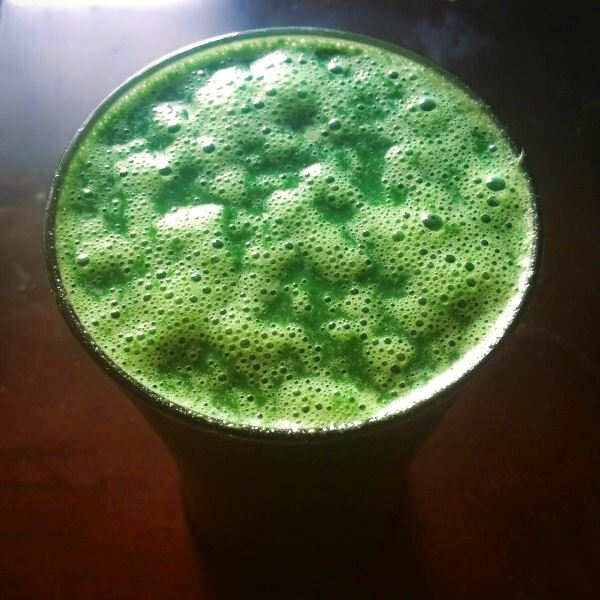 Blend on high, slowly feeding each kale leaf into the blender one at a time. Blend until fully mixed together, about 30 seconds or so. Pour into a glass, and drink up! This makes 6-7 cups worth, perfect for a meal!